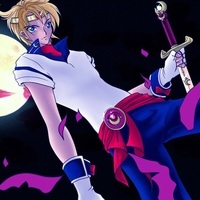 This is a stop motion flash animation series that's about a High school girl named Eli Ayase Who's in a club of friends called the Cutie Beauty Club, who fight monsters. Kasumi Nishikino is Maki Nishikino's mother, she is a pro model. (Kasumi sounding happy) Maki sweet daughter you've made me so proud. 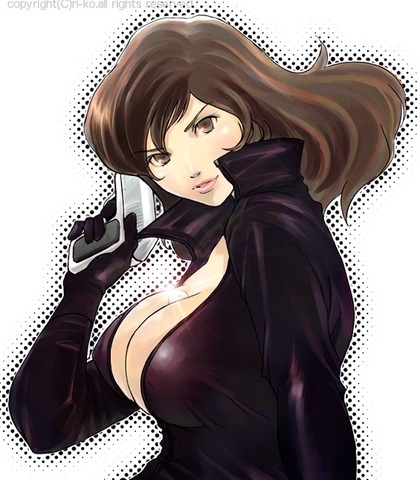 (Kasumi struggling while the leathers squeaking sound effect) Man this leather catsuits so tight! 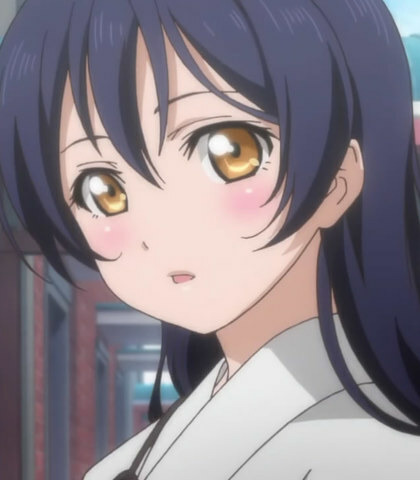 Umi's looks are a mix between beautiful and cute, She is the third Highest leader in the cutie beauty club. I could never compete with your mother Maki. (Umi giggling and blushing) (Umi sounding very happy) He think I'm cute!! MEOW! Maki Nishikino Is a beautiful young lady who is the second highest leader in the cutie beauty club and is the daughter of the current most beautiful model Kasumi Nishikino. its a leather jacket, leather pants, boots, and a pair of fingerless leather gloves. I'm gonna try em on. Hmm the leather pants seem a little tight, but other than that it's fine. 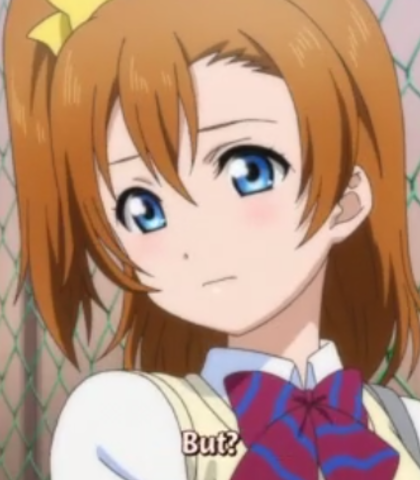 Hanayo Koizumi is a cute geek girl, she has a cat named Luna, she's the bestest closest friend of Honoka's, and she's a part time magical girl. despite her appearance she has a extremely cute and moè voice, basically it sounds like her Japanese voice but speaking in English. Oh is that so?! BEAUTY POWER! Turn me into a hot biker!! 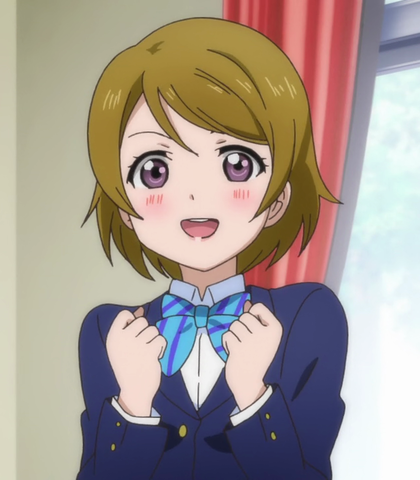 (Cute giggle) (Hanayo with a mature young woman's voice sounding seductive) So how do I look? Don't I look like a grown-up now? But, I doubt they'll let an old cat like you go in though. 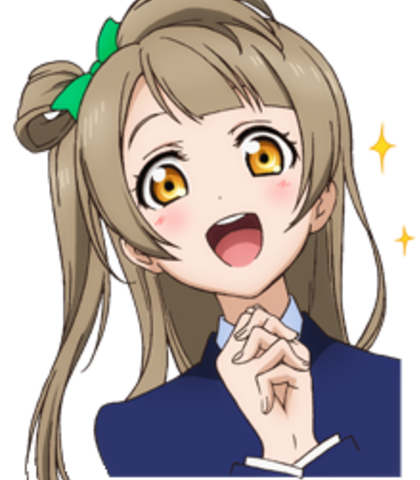 Eli Ayase is the leader of the cutie Beauty club and is the most beautiful of the group she is also somewhat absent minded. 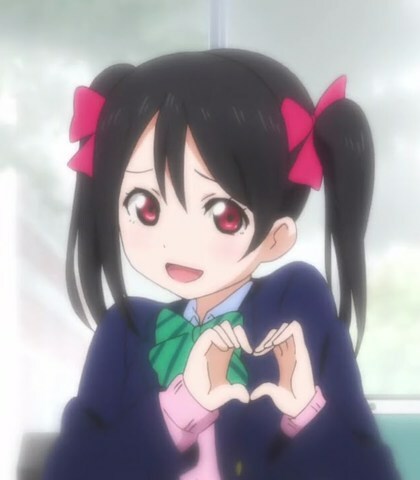 Nico Yazawa is the number 1 cutest girl in the whole cutie beauty club she's extremely Moè. 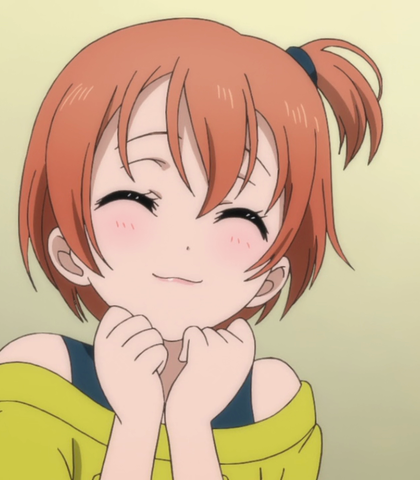 Rin Hoshizora's abit tomboyish, she is also Eli's little sister, she's basically similar to persona's chie satonaka.